Note: This is a great non-alchohalic punch that's great for a bridal/baby shower or brunch. 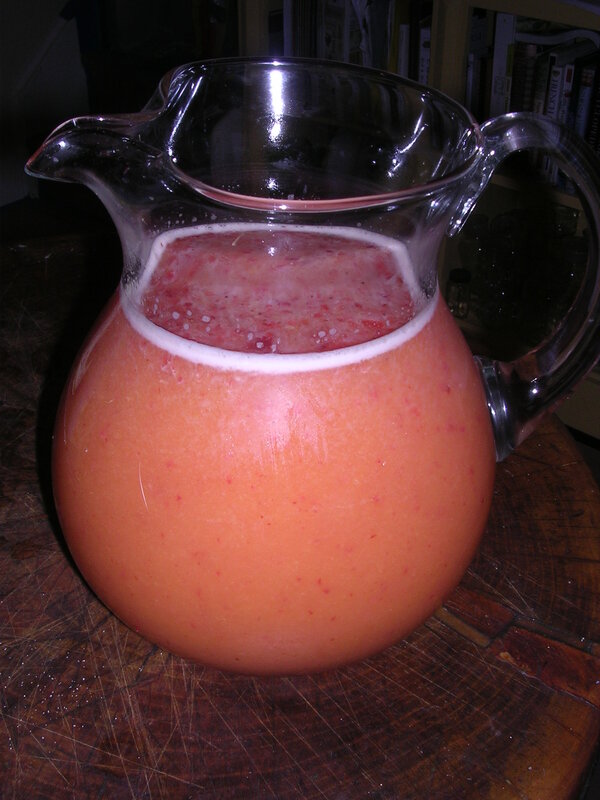 If your blender has trouble blending the frozen strawberries, add some liquid to them. In a large punch bowl or container, combine all ingredients. Whisk together until blended. Serve chilled.